With a new Ecodesign Ready cleanburn stove you can heat your home, reduce your carbon footprint and your gas bills and cut air pollution. But did you know that burning wood can also protect precious woodland habitats and help conserve rare and endangered wildlife? With showrooms in Teddington and Keynsham between Bristol & Bath, Kindle Stoves are specialists in cleanburn stoves. Over the past ten years, we’ve installed thousands of woodburners, helping our customers make a positive contribution to a cleaner, more sustainable environment. We’re proud of our environmental credentials at Kindle Stoves and we work hard to stay ahead of the technological and regulatory developments in our industry. This allows our customers to invest in a cleanburn stove, confident in the knowledge that it will provide optimal efficiency and meet, if not exceed, all regulatory requirements both now and in the future. At Kindle all of our stoves conform to the government’s clean air strategy. And yet there continues to be a lot of coverage of woodburners in the media and some of the more provocative newspaper headlines do create uncertainty. The issues surrounding wood burners and the environment are quite complex and can’t really be dealt with properly in a newspaper article or a short television news bulletin. Many people are attracted to the idea of installing a woodburner either wholly or partly for environmental reasons. But they are sometimes confused by conflicting or seemingly contradictory information in the media. And so in this, the first in a series of articles about wood burners and the environment, we’re going to investigate all of the issues in more detail. There are three main environmental benefits to heating your home with a cleanburn stove. Cleaner air and lower CO2 emissions are both benefits that are widely reported in the media although they’re often misunderstood. However the third benefit is rarely if ever discussed and yet it is arguably the most interesting and the most tangible. Sadly it’s a fact that we can’t take access to clean air for granted, especially in Bristol, Bath or London, all of which suffer from air pollution. But air pollution has affected our cities many times in the past and just like then, new legislation to be introduced in 2022 will ameliorate the current problems. The good news is that at Kindle we already stock cleanburn stoves that conform to the EU’s Ecodesign directive, even though it isn’t due to come into force until 2022. But you’ll also need to burn seasoned firewood in your Ecodesign Ready stove. Firewood that contains less than 20% moisture. Damp firewood burns less efficiently and emits more pollutants. So it’s already possible to install a new Ecodesign Ready wood burning stove and by burning seasoned firewood, stay within the current and future emissions limits for smoke particles and other harmful pollutants. And by replacing an older stove or an open fireplace with a new Ecodesign Ready stove you’ll be helping to significantly reduce air pollution. But will using a wood burning stove also reduce your carbon footprint and emissions of greenhouse gases that are a primary cause of climate change? Well in short that depends on what kind of firewood you burn. Not only should it contain less than 20% moisture but it must also come from a sustainable source. To help understand what that entails, we’ll be talking with woodsman Duncan Winton to gain some insights into amongst other things, the world of sustainable firewood. So finally how about our claim that by burning wood you can help conserve rare and endangered wildlife? Well if you source your firewood from sustainable managed woodland, then you may be helping to provide the perfect habitat for (amongst other things) Muscardinus avellanarius or the Common Dormouse. Call us old fashioned but if you don't think that is a sufficiently good reason to install a cleanburn stove, then you probably shouldn’t read on. When wood burns it emits particulate matter (PM), or smoke if you prefer to keep things simple. And of course smoke contributes to air pollution. Since the 1850’s Governments have introduced legislation limiting these emissions, to protect people from unacceptable levels of atmospheric pollution.Over time the legislation was superseded by further legislation that introduced additional more stringent controls. Whilst it wasn’t the first legislation designed to regulate air pollution, perhaps the most notable was the Clean Air Act of 1956 which was introduced in response to London’s Great Smog of 1952. This act of parliament created “smoke control areas” in some towns and cities in which only smokeless fuels could be burned. Under the Clean Air Act 1993, both Bristol and London are covered by a smoke control order which (amongst other things) allows wood to be burnt in stoves but prohibits it from being burnt in an open fire. More recently the EU introduced the Ecodesign directive designed to improve the environmental performance and efficiency of household appliances like wood burning stoves. When it comes into force in 2022, the objective is to begin eliminating the worst performing stoves from the market. At Kindle we’d support any move on the part of DEFRA to introduce these Ecodesign regulations earlier than 2022. We specialise in cleanburn stoves and most of our stoves already comply with the Ecodesign emissions targets. Just look for the Ecodesign Ready labels when you visit our showrooms. We don’t just support the Government’s “Clean Air Strategy”, we’re already helping lead the way towards a cleaner, healthier environment.. According to independent research conducted by the Stove Industry Alliance (SIA), Ecodesign Ready stoves significantly reduces emissions compared to both an open fire and an older wood burning stove. That’s why the Mayor of London, Sadiq Khan supports the SIA Ecodesign Ready scheme. Contrary to popular belief he isn’t recommending a ban on wood burners but instead he’s proposing that Londoners choose Ecodesign Ready stoves to help cut atmospheric pollution. A report in The Guardian stated that 70% of all the wood and coal burnt in London’s homes is burnt illegally in open fireplaces. It is perhaps little wonder then that London has a problem with air quality. If all of these open fires were replaced by cleanburn, EcoDesign Ready stoves, it would reduce particle emissions by 90%, leading to a radical improvement in air quality. It’s also very important to burn seasoned firewood. Firewood with less than 20% moisture content burns more efficiently, produces more heat, less smoke and less pollutants. Waste wood like old furniture should never be burnt in a stove..
Firewood needs to be stacked and stored under cover for between 1 and 2 years before it’s dry enough to burn. Alternatively it can be kiln dried so that the moisture is driven out of the wood. This is often done in old steel shipping containers using wood to fire the kiln. Storing large quantities of firewood isn’t always practical and most people need to find a reputable supplier of seasoned firewood. Which begs the question: what does a reputable supplier of firewood look like? Certainly a lot of the firewood sold on petrol station forecourts has a very high moisture content. Woodsure is the UK's only firewood accreditation scheme. 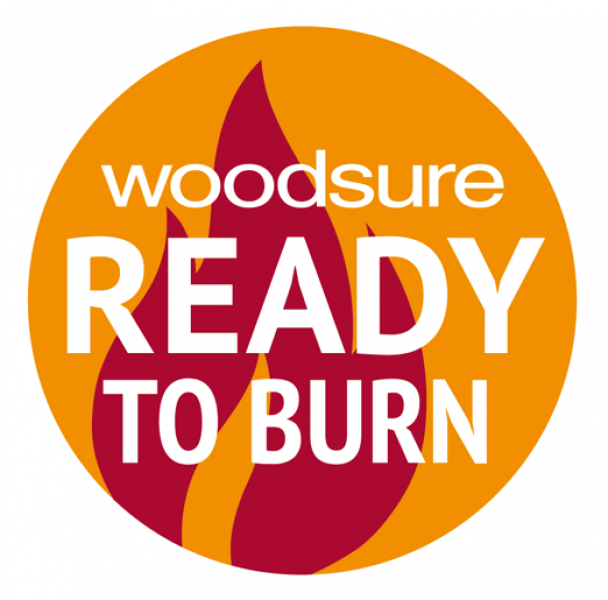 Firewood that carries the Woodsure Ready To Burn label is certified as being properly seasoned and ready to burn. Of course it’s still possible to find seasoned firewood that doesn’t carry the Woodsure label. Nevertheless buying Woodsure Ready To Burn is a great way to ensure that the wood you burn produces the maximum heat and the minimum smoke. At Kindle Stoves we can always supply seasoned firewood. So by installing a new generation Ecodesign Ready wood burning stove and burning seasoned firewood you can be sure that emissions from your stove will be well below the levels allowed. In the second of these articles we’ll be talking to professional woodsman Duncan Winton about his work. Duncan lives in Bristol and works in many of the ancient woodlands that exist within a 20 mile radius of the city. But before meeting Duncan, we should the explore the scientific principle of sustainable firewood. When wood is burnt it releases approximately the same amount of carbon into the atmosphere as it absorbed from the atmosphere when it grew. So theoretically there’s no net increase in atmospheric carbon - so far so good. But for this to work in practise, the volume of wood being burnt and the volume of wood being grown need to be in equilibrium - this is sustainable firewood. The good news is that it’s entirely possible to produce sustainable firewood. But the bad news is that not all firewood is produced sustainably. Sustainable firewood is produced by managing woodland according to the principles of sustainability. 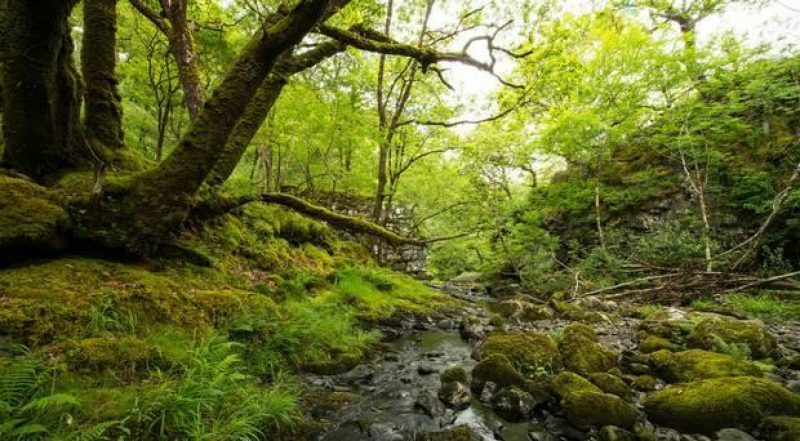 In the second of these three articles we’ll investigate the ancient art of small-scale sustainable woodland management as practised by woodsman Duncan Winton. Burning locally harvested firewood from sustainable woodland can indeed be carbon neutral and later on we’ll look more closely at sustainability. As we shall see in our next article, humans have managed woodland sustainably for millenia. Evidence of their activity can be found within a few miles of both our Teddington and our Keynsham showrooms. Remarkably, Surrey has the greatest concentration of ancient woodland in Britain whilst Somerset and Gloucestershire are also blessed with numerous examples of ancient managed woodlands. In our next article we’re going to go out into some of this woodland with Duncan Winton and look at the work he does and the “natural” habitats he’s helping to conserve. 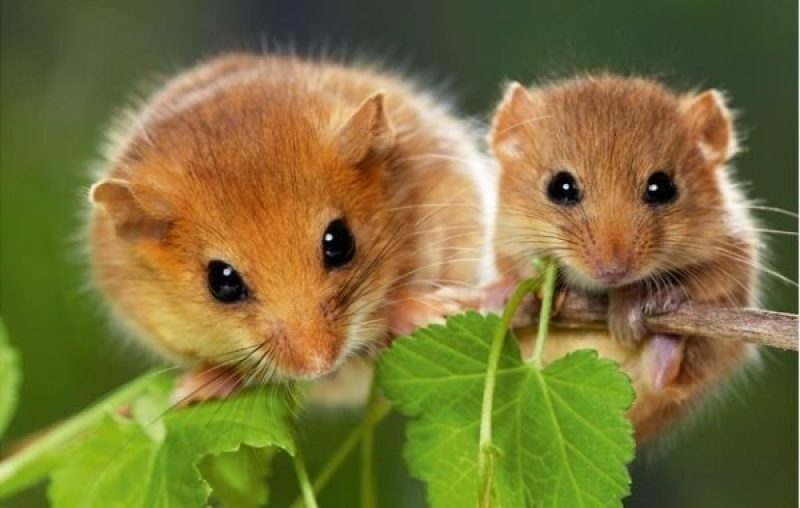 If we’re very fortunate we might even meet a dormouse.